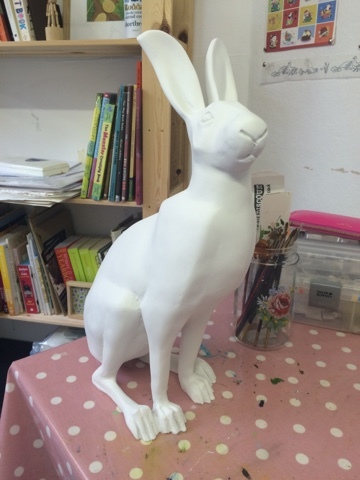 There's a hare in my studio! I'm painting a small hare as part of the Cirencester Hare Festival 2015. She will be part of a trail of 50 small hares on the Small Hare Passport Trail that can be found in shops and buildings all over Cirencester. This little one will be living at Cirencester Hospital. Click on the link below to find out more information.